When I refer to the core, I am talking about the following trunk muscles which comprise the mucular corset which stabilizes the trunk. Visualize the core as a cylindar with a base, lid, and walls. 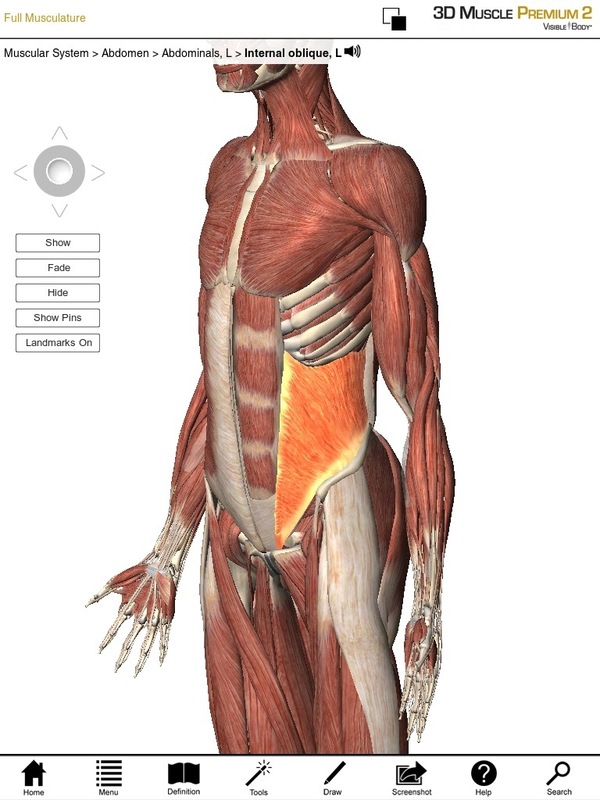 The walls of this cylindar are made up of the following muscles. 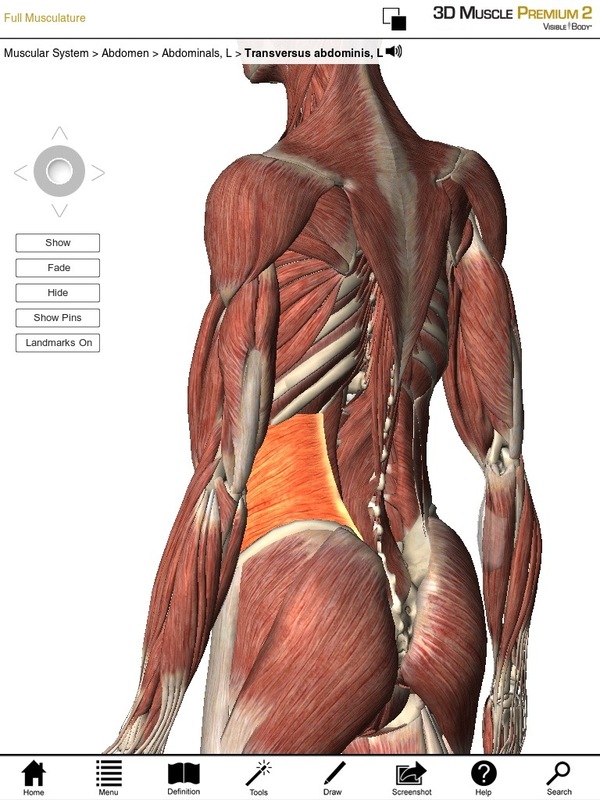 These muscles are referred to as the muscular corset of the trunk. 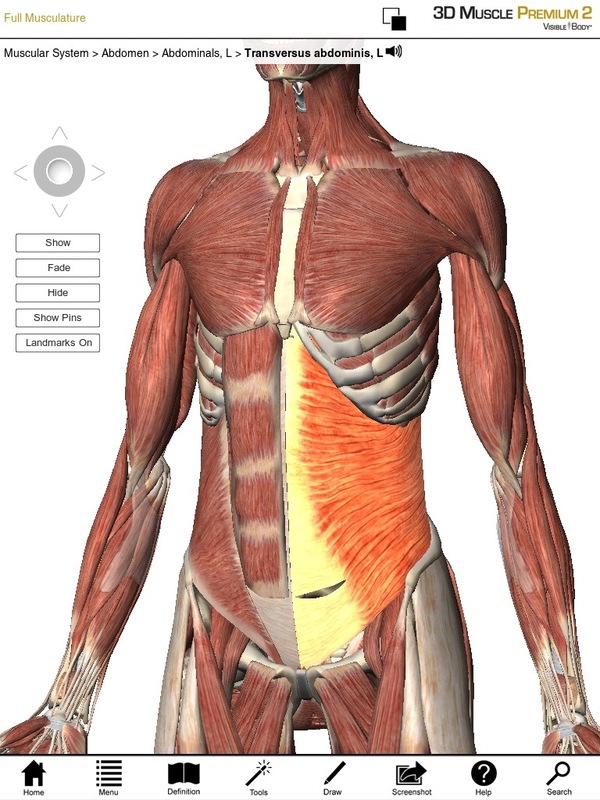 Lumbar Multifidi- Deepest layer of posterior core muscle. 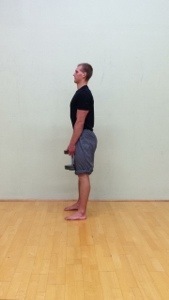 Primary function is stabilization, ie resists rotation of the vertebrae. 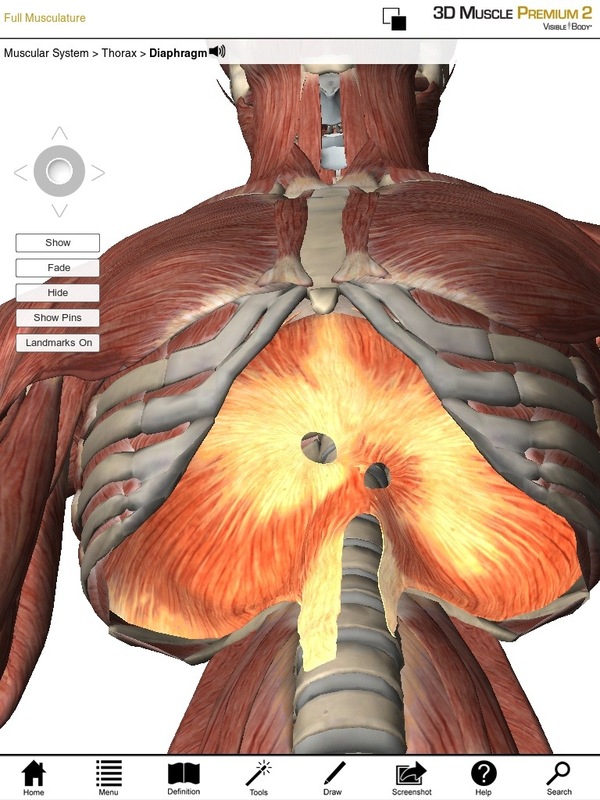 In addition to the corset muscles above, the base and lid of the cylindrical trunk are the pelvic floor and the diaphragm respectively. The pelvic floor is especially importance for continence and the diaphragm for deep breathing. The concept of the core can be expanded to include any muscle passing through the trunk which could provide stability or generate motion but the ones I have listed are the deepest and most involved in stabilization. Low-threshold segmental stabilization involves low levels of forces and reflex driven sequencing of muscle contraction and relaxation which it is not possible to voluntarily control. Deep relaxed diaphragmatic breathing is an indicator of low-threshold stabilization. Low threshold stabilization is ideal for light tasks of daily living, but dangerous when the activity involves high forces as force will be transferred to ligaments and joints instead of muscle. High-threshold stabilization involves high levels of muscular tension to make the trunk a rigid lever. This is a normal and healthy respond to high load tasks such as heavy lifting or getting punched in the stomach. This strategy can be activated voluntarily or involuntarily. Using a high threshold strategy all day for light activities is maladaptive and can result in muscular pain as the constantly contracted muscle reduces its own blood supply. Back injuries often result in a constant high threshold strategy and this can continue to cause symptoms even after the back has healed. At this point I hope you have an understanding of the difference between high and low threshold strategies of stabilization and agree that both are necessary parts of life and performance. If you are thinking about improving athletic performance, you will be interested in finding the optimal program for efficiently training the core muscles in a high threshold stabilization pattern. Some research has shown greater core muscle activation during exercises on an unstable surface than the same exercise on a stable surface (Behm 2010). The unstable surface most often used in these studies was the big squishy balls found in most gyms called by various names “swiss-ball”, “fit-ball”, and “physio-ball.” When it comes to high threshold stabilization, the assumption is that more activation is better, as it will make your core stronger and able to handle larger loads without buckling. If doing a side plank on an unstable surface results in more trunk muscle activation than a side plank on the ground, then how does a squat on an unstable surface compare to a squat on a stable one? 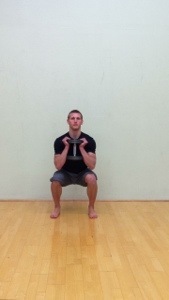 And finally, how do both of the unweighted squats compare to a heavy weight squat on a stable surface. I read two research articles which investigated exactly this topic, here are excerpts from the abstracts. Design: Cross-sectional counterbalanced repeated measures. Setting: Research laboratory. Participants: Volunteers (N�25) without low-back pain. 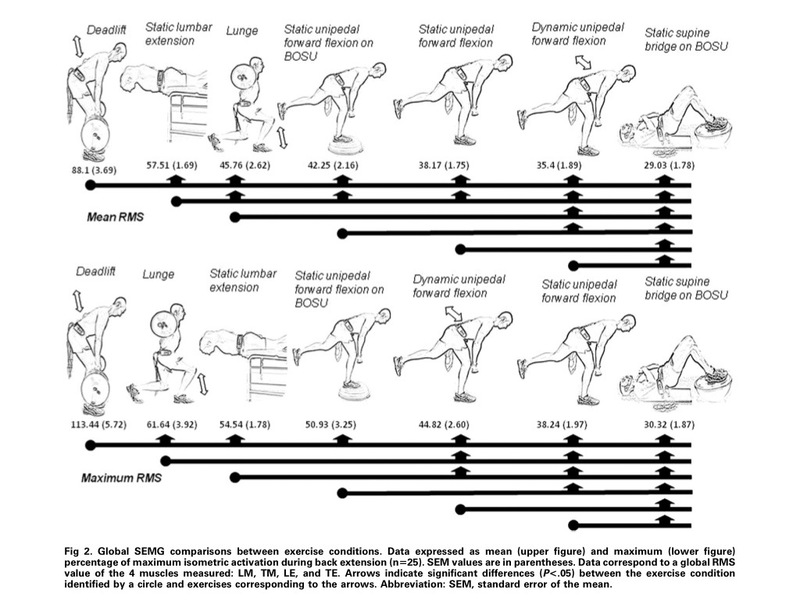 Intervention: Subjects performed (1) localized stabilizing exercises (callisthenic exercises with only body weight as resistance): static lumbar extension, stable (on floor) and un-stable static unipedal forward flexion, stable dynamic unipedal forward flexion, and unstable supine bridge; and (2) global stabilizing exercises (70% of maximum voluntary isometric contraction [MVIC]): dead lift and lunge. Main Outcome Measures: Mean and maximum amplitude of the electromyographic RMS of the lumbar and thoracic multi-fidus spinae and erector spinae. Electromyographic signals were normalized to the MVIC achieved during a back-exten-sion exercise. 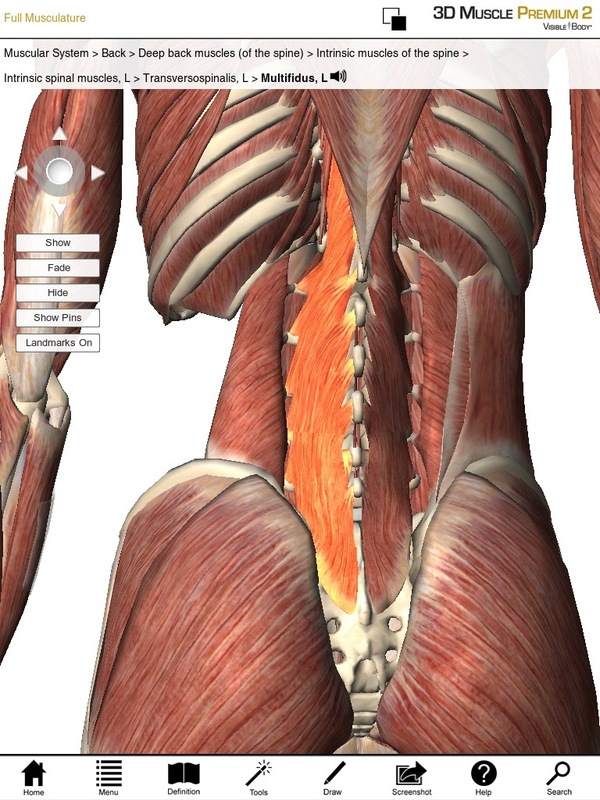 Results: Normalizing to the MVIC, paraspinal muscles were significantly (P�.05) most active, with mean and peak ampli-tudes of 88.1% and 113.4% during the dynamic stable dead lift at 70% of MVIC, respectively. The supine bridge on the unstable surface obtained the significantly lowest values of 29.03% and 30.3%, respectively. The other exercises showed intermediate values that ranged from 35.4% to 61.6%. Design: Sixteen sub-jects performed squats and deadlifts with 80% 1 repetition max-imum (1RM), as well as with body weight as resistance and 2 unstable calisthenic-type exercises (superman and sidebridge). Electromyographic (EMG) activity was measured from the lower abdominals (LA), external obliques (EO), upper lumbar erector spinae (ULES), and lumbar-sacral erector spinae (LSES) muscle groups. Results indicated that the LSES EMG activity during the 80% 1RM squat significantly exceeded 80% 1RM deadlift LSES EMG activity by 34.5%. 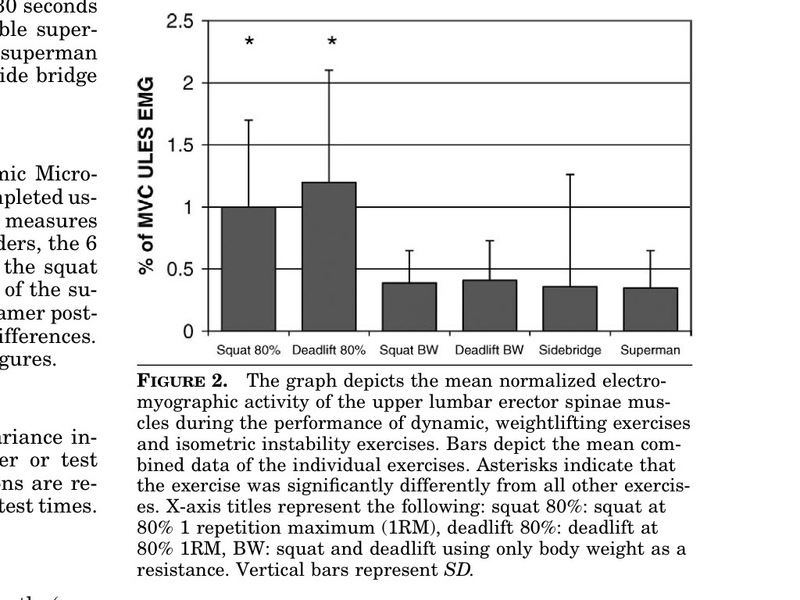 The LSES EMG activity of the 80% 1RM squat also exceeded the body weight squat, deadlift, superman, and sidebridge by 56, 56.6, 65.5, and 53.1%, respec-tively. 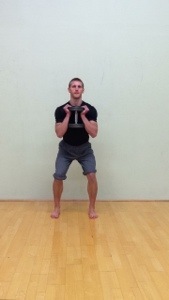 The 80% 1RM deadlift ULES EMG activity significantly exceeded the 80% 1RM squat exercise by 12.9%. In addition, the 80% 1RM deadlift ULES EMG activity also exceeded the body weight squat, deadlift, superman, and sidebridge exercises by 66.7, 65.5, 69.3, and 68.6%, respectively. There were no signifi-cant changes in EO or LA activity. These studies found greater activity in the erector spinae, (muscles along the back of the spine) with the heavy dead-lift and squat than they did with body weight versions of these exercises or any of the unstable surface exercises. No significant differences in activation of the internal obliques or transversus abdominus were seen with any of the excercises. If you are squatting and dead lifting heavy weight with good form, you are already doing sufficient high threshold core training and do not need to add swiss ball sideplanks and supermans. If you are not doing these heavy lifts, I recommend learning them correctly from someone with experience teaching them. If you are not interested in incorporating squatting or deadlifting into your exercise routine either because of logistical or orthopedic reasons then the side plank and superman on the swiss ball will get most of the job done. You don’t need a bar to start squatting and deadlifting. For the squat the bar simply allows you to do more weight without your upper body being the limiting factor and for the deadlift it allows you to do heavier weights than most dumbells are made in. 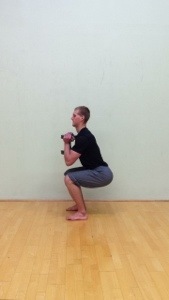 But when starting out you can begin with a goblet squat and a dumbell deadlift. Three sets of 5 repetitions, three times per week or every 48hours. Start out very light, at the weight at which the speed of the movement is reduce and add weight each session in 5-10lb increments. Hips stay high, back is straight. Hips come down to knee height, back is straight. Behm, D.G., Drinkwater, E.J., Willardson, J.M., and Cowley, P.M. 2010b. 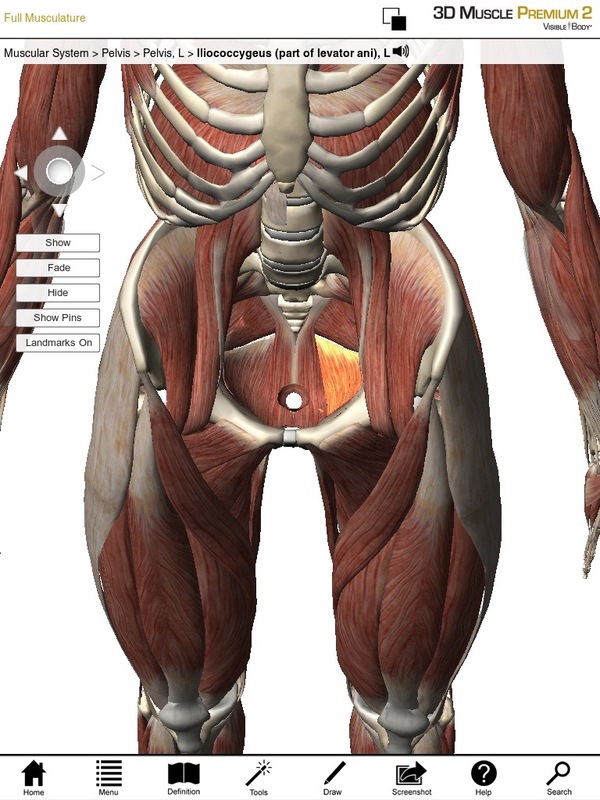 The use of instability to train the core musculature. Appl. Physiol. Nutr. Metab. 35: 91–108. doi:10.1139/H09-127. Colado JC, Pablos C, Chulvi-Medrano I, Gar-cia-Masso X, Flandez J, Behm DG. The progression of para-spinal muscle recruitment intensity in localized and global strength training exercises is not based on instability alone. Arch Phys Med Rehabil 2011;92:1875-83. Hmm it looks like your site ate my first comment (it was extremely long) so I guess I’ll just sum it up what I wrote and say, I’m thoroughly enjoying your blog. I too am an aspiring blog blogger but I’m still new to everything. Do you have any recommendations for beginner blog writers? I’d genuinely appreciate it. I recommend keeping an Evernote file with blog topic ideas you come up with throughout the week then pick one day a week with three hours or so set aside to making a blog post out of one of these topics.